When a crisis hits a destination, tourism is one of the first industries to bear the brunt. Over the past several years, we have been on the front lines of managing the immediate after effects and developing long-term strategies, both of which are the key to a swift recovery. “It feels like Dominica is finished.” “Dominica knocked to its knees.” “Dominica ‘in daze’.” Those were the dramatic headlines that illustrated the wrath of Hurricane Maria in September 2017, the Category 5 that ripped through Dominica and Puerto Rico. 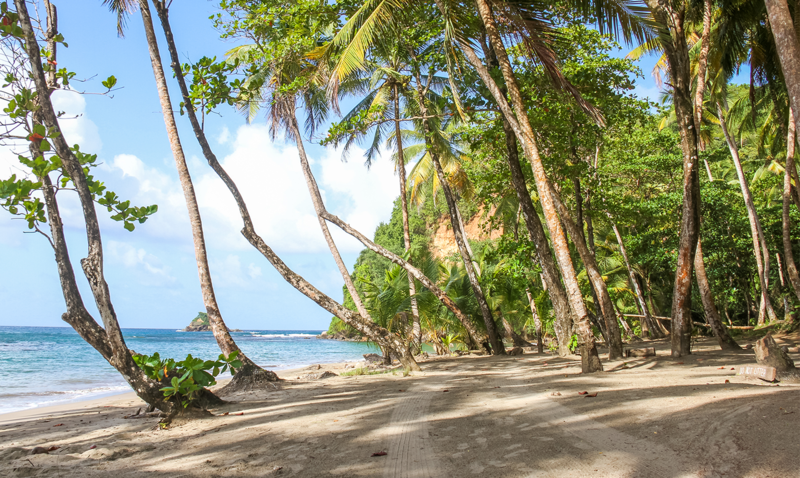 Originally branded as the “Nature Island,” the features that made Dominica such a compelling destination were now completely inaccessible. Hotel inventory was slashed to about 27 percent, and tourism officials projected losses of over $190 million. Above all, the messaging about Dominica was now inextricably linked with hurricane destruction. As the destination’s agency of record, Myriad was tasked with deploying critical information about the immediate aftermath. By January 2018, the cruise ship terminal in Roseau was among the first infrastructure to rebound, and the narrative shifted to the return of the cruise industry. Over the course of several months, stories on Dominica took a decidedly positive turn across consumer and trade publications, with headlines such as: “The Future of Tourism in Dominica” (TravelPulse); “How Travelers Can Help Hurricane-Damaged Islands” (The New York Times); “How to Hurricane-Proof an Island” (Bloomberg). A story in The New York Times lauded Dominica: “The hurricane did deep damage to homes, roads, forests and trails. But waterfalls, hot springs and helping out are good reasons to visit.” Not only were the stories about recovery, but also Dominica’s resiliency – which will have a protective effect on the public’s perception of this Caribbean island destination. Shifting the narrative on Dominica required strategic pitching to get the right messages out at the right times. While the approach can vary depending on the nature of the crisis – environmental damage versus safety and security are two distinct components – preparation is the key to controlling the messaging and minimizing impact. Starting with a crisis communication plan is critical. Having a plan in place enables team members to respond efficiently and effectively in the time of crisis. Determine if information will come via the DMO or if you will defer to official government communications. Develop a process for obtaining swift approvals on public statements. Bolster your contacts with local, state and federal law enforcement. Create a crisis contact list: staff, public officials, emergency services, local businesses, etc. Decide what other entities need a seat at the table: local government entities, tour operators, hotel general managers, etc. Establish a relationship with the media so that you are their trusted point of contact in the steps to follow. Once the “all-clear” signal has officially been deployed, it is necessary to pivot into recovery mode. What are the messages that the public needs to hear to plan their travels? Note that travelers tend to be motivated to visit a destination impacted by a natural disaster IF their vacation supports economic recovery. While a steady drumbeat of need-to-know information can be disseminated via social media, be clear about who you’re targeting with pitched stories.